State of Mind, the lavishly illustrated companion book to the exhibition of the same name, investigates California’s vital contributions to Conceptual art—in particular, work that emerged in the late 1960s among scattered groups of young artists. 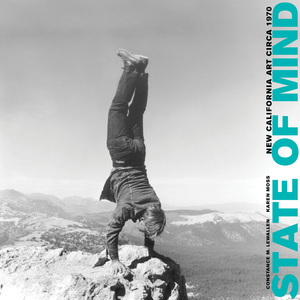 The essays reveal connections between the northern and southern California Conceptual art scenes and argue that Conceptualism’s experimental practices and an array of then-new media—performance, site-specific installations, film and video, mail art, and artists’ publications—continue to exert an enormous influence on the artists working today. Constance Lewallen is adjunct curator at the Berkeley Art Museum and Pacific Film Archive and the author of several UC Press titles, including Ant Farm 1968-1978 and A Rose Has No Teeth: Bruce Nauman in the 1960s. Karen Moss is adjunct curator at the Orange County Museum of Art. "There is not a trace of the provincial nor the apologetic in the tone of the State of Mind texts. Rather there is a justified claim for the sophisticated originality of this Californian art—sophisticated because the authors have convincingly argued that the artists, for the most part, had many conscious connections and familiarity with art from the rest of the country and Europe, yet were driven by a desire to be independent and different."